Hotel Overview The hotel is located in the northern part of Golden Sands on the beachfront and only 30 metres from the beach. The hotel offers clean comfortable accommodation in a friendly environment. 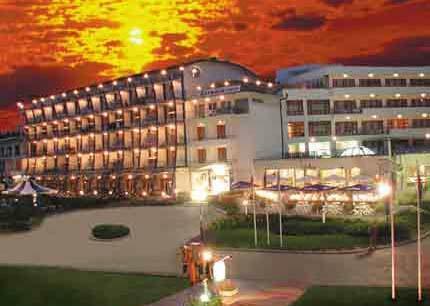 plz give some comment to me i want to go to varna this summer i want to know if thi shotel is good or not?plz guide me to know what to do????? Take my advice:don't go there! Don't go there. You will cry for your money. Hotel mi deluje vrlo lepo samo me interesuje gde su slike soba?? ?To nedostaje!! !Bilo bi lepo da postavite neku sliku izgleda sobe kako bi utisak bio jos potpuniji!!! Could you please send me a brochure of your hotel ?